Convenient that this Malll Santa Fest Floorstand Signholder accepts a full sheet of standard size foam core. All you need do is print up your sign or message and stand it right in place. In this case the event is fun time at the Mall Center Court. 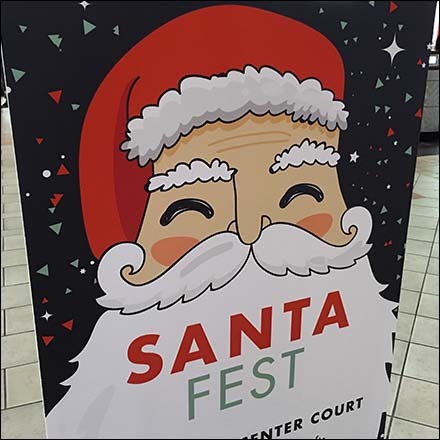 Have an event, sale or special to advertise consider this Malll Santa Fest Floorstand Signholder as a possible solution.